Lily and Sam talk about pockets, snacks, and the waterpark. 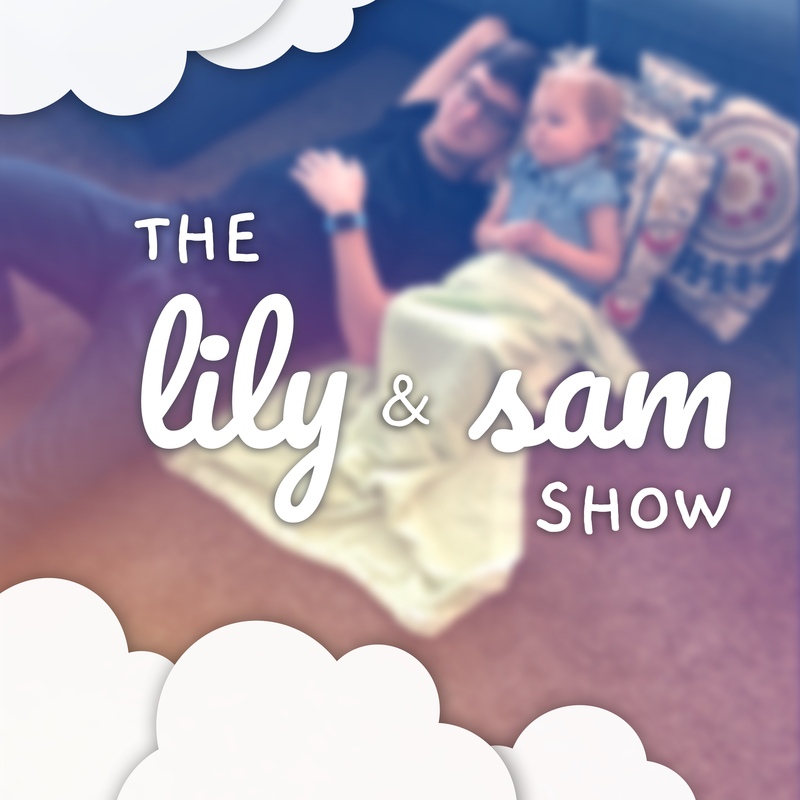 Lily and Sam talk a little about their trip to the farmers market, bikes, and movies. Lily and Sam (with a surprise visit from mom!) talk about some of the animal noises Lily knows, the library, and the waterpark again. Lily and Sam talk about restaurants and phones. Lily also answers some questions from Andrew, Molly, and Teddy about books and other animal noises. It's time for some of Lily's favorite songs! Lily and Sam are joined by Emalie for some songs, birthday talk, and a question from another uncle. Lily got her own microphone that she's pretty excited about, so she spends a lot of time testing it out. Lily talks about grandma coming, pillows, and makes mom and dad sing "The Uncle Song". Lily and Sam talk about the hike they went on and playing with Legos. Lily, Sam, and mom talk about Bobby Flay and what cows eat. It's our 10th episode! Lily and Sam talk about dresses, flashlights, dinner, and more! Lily and Sam talk about Lily's birthday and Lily answers some questions from Grammy and Jackson. Lily and Sam talk about trick-or-treating, "Frozen", and IKEA. Lily and Sam talk about making art, knock-knock jokes, and the grocery store. Lily had Star Wars on her mind today, it comes up a lot. Lily also answers a question from Andrew. Lily and Sam talk about Uncle Andrew, Santa Claus, and Christmas. Lily and Sam are back from a little break with a short episode. Lily wasn't in as much of a talkative as she usually is, but Lily talks about Christmas! Lily talks about how she watched "Beauty and the Beast". Lily and Sam talk about going to see the butterflies, movies, and answer a question from grammy. Lily and Sam talk about the usual—princesses and cereal. Lily answers a few of your questions! Lily and Sam talk about going to the bike store to get a balancing bike, and breakfast, of course.